THE STATE CLAIMS Agency will seek the approval of the High Court on 19 November to release payouts to the remaining motorists affected by the collapse of Setanta Insurance. This means the remaining motorists will receive 100% compensation, totalling €21 million. Currently there are over 1,500 claimants who have yet to receive their full compensation. Around 750 of these claimants have not received one cent of compensation, while 826 claimants have been paid partially under the previous rules. Fianna Fáil Spokesperson on Finance Michael McGrath has welcomed the news, stating that this issue has gone on for far too long for the “people caught up in this sorry affair”. 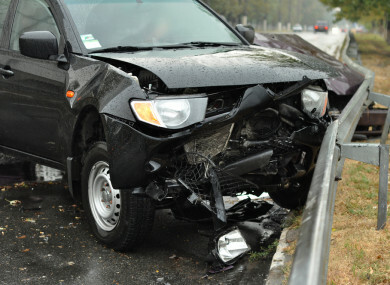 The Maltese based company collapsed in April of 2014 In the aftermath it was announced that those insured who had been struck by uninsured drivers would not be covered. A number of court cases followed, leading to the Supreme Court, which ruled the state was liable for any outstanding insurance claims. Over the years, a number of people affected have spoken out, with one woman stating that she has lost €100,000 since her car accident and the insurance company’s collapse. Another woman spoke about her financial problems since her partner and friend were killed in a car crash in 2009. Former Setanta policyholders were also worried they could be personally on the hook for outstanding claims. “People’s lives have been put on hold because of this issue and the government have continually dragged its feet,” said McGrath. The Supreme Court made its decision on who should pay this compensation in May 2017, over one and a half years ago. In January of this year, Finance Minister Paschal Donohoe gave a commitment that the claimants would receive all the money they are owed. In September, claimants were informed that an application to the High Court to authorise it to pay money out of the Insurance Compensation Fund would be done at the end of October. It has been confirmed today that the State Claims Agency will make its application on 19 November 2018 towards the end of this month and if successful claims should be paid within 10 working days of that date. “Claimants now are at the end of their tether. There can be no more delays with this. People want to move on with their lives,” said McGrath. “There is now light at the end of the tunnel,” he said, something which junior finance minister Patrick Donovan agrees with. He told the Dáil today that all payments will be issued as soon as is practicable, with the first tranche of payments due by late November or early December. Email “Remaining motorists affected by Setanta Insurance collapse should get their money by Christmas”. Feedback on “Remaining motorists affected by Setanta Insurance collapse should get their money by Christmas”.